ATMP is used in industrial circulating cool water system of thermal power plant and oil refinery plant. ATMP can decrease scale formation and inhibit corrosion of metal equipment and pipeline. 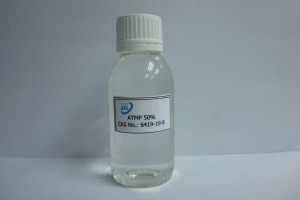 ATMP can be used as chelating agent in woven and dyeing industries and as metal surface treatment agent.